Another chilly clear morning we had today. My image goes back a bit to a warm day in Nebraska at Scotts Bluff National Monument. Scotts Bluff is a landmark on the Oregon Trail and I walked a tiny bit of it while there. 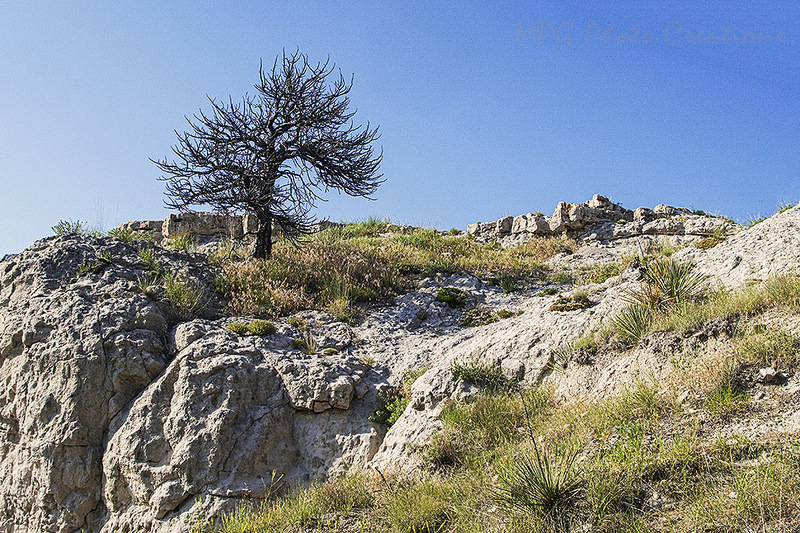 I photographed this gnarly old tree standing sentinel on one of the bluffs there. I loved the shape of it against the rocks.